If you’re moving but don’t want the hassle and stress of packing and moving your furniture, let Robinsons deal with it for you. We’re happy to take care of all the boring, difficult bits so that you can enjoy a stress-free move. 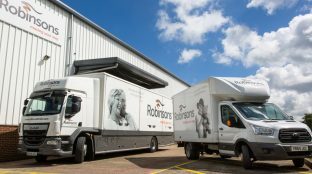 With over 120 years’ experience in the removal industry, Robinsons have helped countless families move to and from the Salisbury area. With a wonderful knowledge of the local area, you can trust us to take care of all your removal needs. Call us today on 01722 346 976 to discuss your requirements with one of our Salisbury Move Managers. For a free, no obligation home-moving survey and quotation, fill in your details in the enquiry form above. One of our Salisbury Moving Consultants will visit you for an informal chat about your upcoming move. If you’d like more information, don’t hesitate to speak to us directly: please call us, free, on 01722 346 976 . We’d love to know more about you and your move.